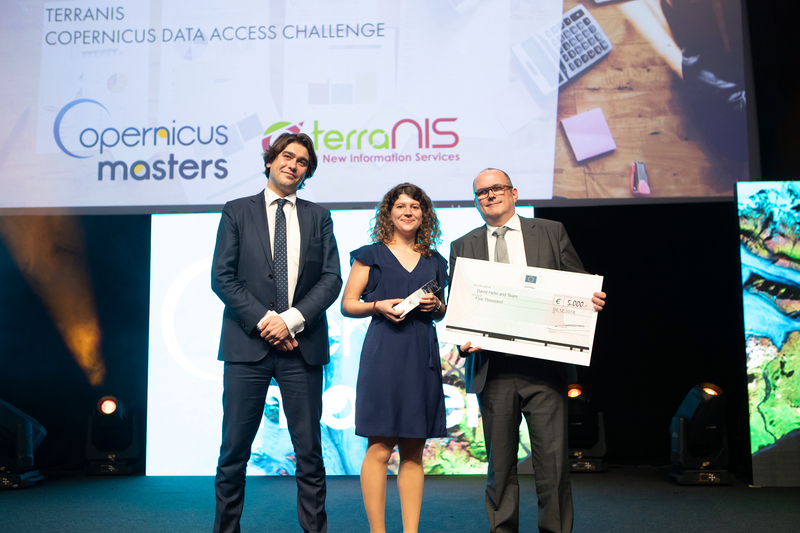 For the #CopernicusMasters 2018 Challenge – which is an international competition that awards prizes to innovative solutions, developments and ideas for business and society based on Earth observation data – we presented a project called Sentinel for My Mayor. Thanks to Sentinel for My Mayor, European local and regional authorities will have a better understanding of Copernicus data and how to use it to support their decision-making processes. They can more easily adapt to the regulatory and socio-economic constraints they are facing, and also improve their territory management policy. This project aims at bridging the gap between the powerful existing dataand the lack of understanding about these tools at local level, particularly the difficulty to adapt to changing socio-economical constraints and evolving regulations. To give data available, a platform will allow the final users to fill their criteria and automatically select the data required. The platform will be connected to open data sources such as DIAS and to other commercial data. The images, maps and outputs will be then directly downloaded in the own GIS solution of each user, allowing them to make better informed decisions. Moreover, the regional partners of the European network Eugenius association will be involved thus gives a local referent to final users.